If you want to take full advantage of your Chromecast, then we've got some tricks to help you play games, listen to music, turn your TV into a karaoke machine and more! Devices for broadcasting content from electronic devices to televisions have increased their sales exponentially in the last few years. Since their arrival in 2013, Chromecast has been one of the most highly demanded casting devices by users around the world. The many possibilities that this Google device offers once you connect it through the HDMI port on your TV, are practically limitless. That’s why it’s interesting to discover some fundamental features to get the most out of your Chromecast. Sometimes, when you’re hanging out with friends, it’s nice to have a multiplayer game on hand, with multiple controllers, just like we did with games like Buzz! from PlayStation. If you connect your Chromecast to your Android, then you can play tons of one-player or multiplayer games that use your smartphone as a controller and TV as a screen where you can see everything that happens in the game. If the game is compatible with Chromecast, then all you have to do is tap the corresponding button to cast the information on the TV and in a few seconds, all the devices will be linked on the same network. You’ll find some games like Emoji Party, which consists of guessing different movies represented with emoticons. Using your phone as a controller, you’ll be able to select the letters until you get the right movie title. On the other hand, titles like Big Web Quiz and Motion Tennis Cast let you answer nonstop questions or play rounds of tennis, in classic Wii Sports style, using your phone to control every aspect of the game. We’ve all been there; you’re hanging out with a group of friends or family and someone wants to show something on their phone for everyone to see. 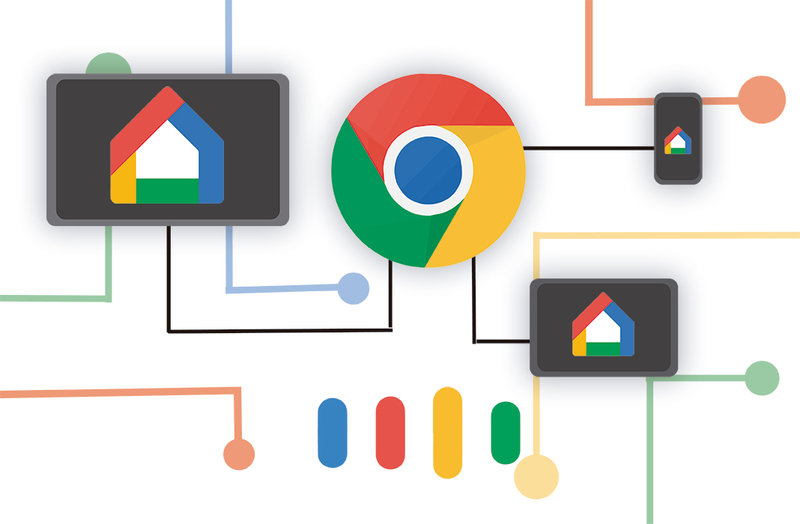 To make everything much simpler, you can activate guest mode on your Chromecast so that anyone can show files on the screen even if they’re not connected to your WiFi network. To turn this feature on, you just have to open Google Home and go to the section Devices > Select Chromecast > Activate guest mode. After completing this simple process, you’ll get a code that you can give to any user to be able to send content to the TV using an Android device. Connecting your computer or smartphone to the TV using an HDMI cable to mirror your screen is a pain in the neck. However, thanks to Chromecast, you can mirror everything you see on your PC or smartphone, cord-free. Google Home is the app that’ll help you do this. All you have to do is go to the menu by tapping the upper left corner and tap Cast screen/audio. You also have the option to send different tabs from Google Chrome by selecting Cast from the options menu. Furthermore, if singing is your thing, then you’re in luck. You can turn your TV into a karaoke machine thanks to Chromecast. Just install the app MusiXmatch on your device and share the content via Chromecast. This way you can see the lyrics of the songs on your TV and sing your heart out in the comfort of your living room. In the last few weeks, Google has released two different versions of a smart speaker that lets you interact using only your voice. These devices, which are also called Google Home, are able to provide solutions for almost any problem, just like the Siri system on iOS.